L1 Loco, two BR coaches, R626, R627. Polly/Connie loco three wagons, R243, R11, R16. 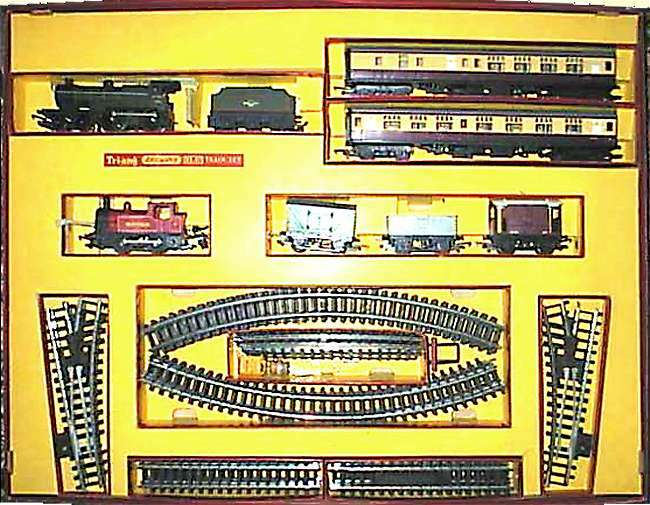 10 double curves, 12 straights, 3 points and a buffer stop.